冯博, 计文化, 白建科, 刘一珉, 陈喜庆. 西天山博罗科努地区志留系碎屑锆石U-Pb定年及其地质意义[J]. 地质通报, 2019, 38(2-3): 276-287. 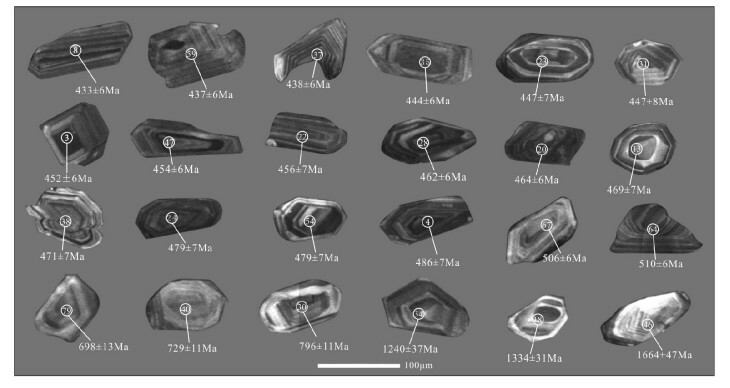 Feng B, Ji W H, Bai J K, Liu Y M, Chen X Q. Detrital zircon U-Pb dating of Silurian sandstone in Borohoro area, Western Tianshan Mountains, and its geological implications[J]. Geological Bulletin of China, 2019, 38(2-3): 276-287. Abstract: The Silurian strata in the Borohoro area on the northern margin of the Yili block in the Western Tianshan Mountains are well exposed and serve as an important carrier for the study of the Early Paleozoic tectonic evolution of the Western Tianshan Mountains. 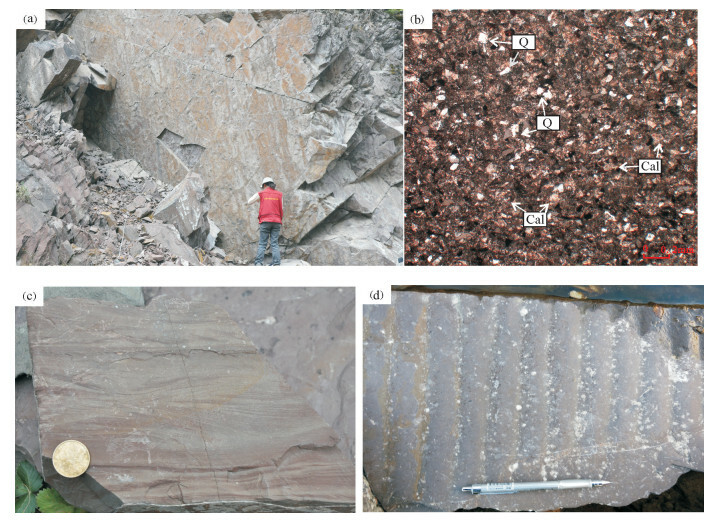 In this paper, sedimentary petrology, geochemistry and LA-ICP-MS zircon U-Pb geochronology were investigated for the Silurian Kuruer Formation sandstone in Shuinichanggou, Nileke County. The result shows that Kuruer Formation was formed in tidalswamp facies. The sandstone in Kuruer Formation is characterized by high LREE, smooth HREE and rather weak negative Eu anomaly. The geochemical characteristics indicate that the sandstone source of Kuruer Formation belongs to the continental arc. According to the U-Pb ages of LA-ICP-MS of 80 detrital zircon grains, the source rocks of Kuruer Formation detrital rocks came from terrains with three different geological periods, mostly 425~510Ma, and subordinately 698~796Ma and 1240~1641Ma, which respectively correspond to the Early Paleozoic, Neoproterozoic and Mesoproterozoic. According to the comprehensive analysis, the Kuruer Formation was formed in Late Silurian and was deposited on the back-arc basin formed by the southward subduction of the North Tianshan Ocean. 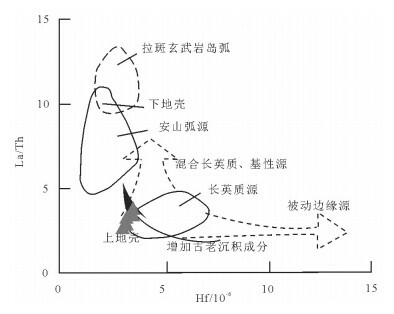 The material of Kuruer Formation was mainly derived from the northern island arc zone, with the addition of a small amount of materials from the south side of the Yili block. 朱志新, 董连慧, 王克卓, 等. 西天山造山带构造单元划分与构造演化[J]. 地质通报, 2013, 32(z1): 297-306. 白建科, 李智佩, 徐学义, 等. 西天山早石炭世构造环境:大哈拉军山组底部沉积地层学证据[J]. 沉积学报, 2015, 33(3): 459-469. 白建科, 李智佩, 徐学义, 等. 西天山乌孙山地区大哈拉军山组碎屑锆石U-Pb定年及其地质意义[J]. 中国地质, 2015(1): 85-95. 舒良树, 朱文斌, 王博, 等. 新疆古块体的形成与演化[J]. 中国地质, 2013, 40(1): 43-60. 姜寒冰, 董福辰, 张振亮, 等. 西天山哈勒尕提含矿花岗岩地球化学、锆石U-Pb年代学及地质意义[J]. 新疆地质, 2014(1): 25-34. 薛春纪, 陈波, 贾志业, 等. 新疆西天山莱历斯高尔-3571斑岩铜钼矿田地质地球化学和成矿年代[J]. 地学前缘, 2011, 18(1): 149-165. Anderson T. Detrital zircons as tracers of sedimentary provenance:limiting conditions from statistics and numerical simulation[J]. Chemical Geology, 2005, 216(3/4): 249-270. Rollison H R.杨学明, 杨晓勇, 陈双喜译.岩石地球化学[M].合肥: 中国科学技术大学出版社, 2000. 新疆维吾尔自治区地质矿产局. 新疆维吾尔自治区岩石地层[M]. 武汉: 中国地质大学出版社, 1999: 1-430. Van Achterbergh E, Ryan C, Jackson S, et al. Data reduction software for LA-ICP-MS[C]//Sylvester P. Laser ablation-ICPMS in the earth science. Mineral. Assoc. Canada, 2001: 239-243. Ludwig K R. Isoplot/Ex, Version 3:A geochronological toolkit for Microsoft Excel[M]. Special Publication: Berkeley, CA, Geochronology Center Berkeley, 2003. Rudnick R L, Gao S. Composition of the continental crust[J]. 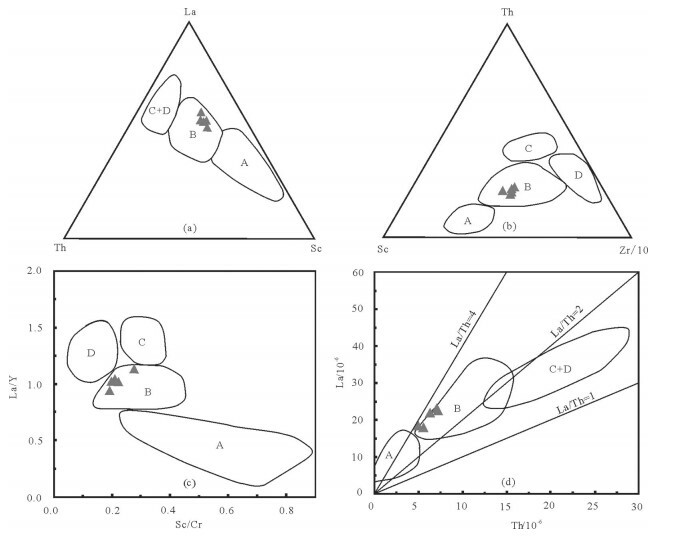 Treatise on Geochemistry, 2003, 3: 1-64. Bhatia M R, Crook K A. Trace element characteristics of greywackes and tectonic setting discrimination of sedimentary basins[J]. Contributions to Mineralogy & Petrology, 1986, 92(2): 181-193. Floyd P A, Shail R, Leveridge B E, et al. Geochemistry and provenance of Rhenohercynian synorogenic sandstones:implications for tectonic environment discrimination[J]. Geological Society London Special Publications, 1991, 57(57): 173-188. 胡霭琴, 韦刚健, 张积斌, 等. 西天山温泉地区早古生代斜长角闪岩的锆石SHRIMP U-Pb年龄及其地质意义[J]. 岩石学报, 2008, 24(12): 2731-2740. 王行军, 王根厚, 专少鹏, 等. 中天山晚奥陶世碰撞造山:来自变质花岗岩地球化学及年代学证据[J]. 岩石学报, 2011, 27(7): 2203-2212. Wang B, Jahn B M, Lo C H, et al. 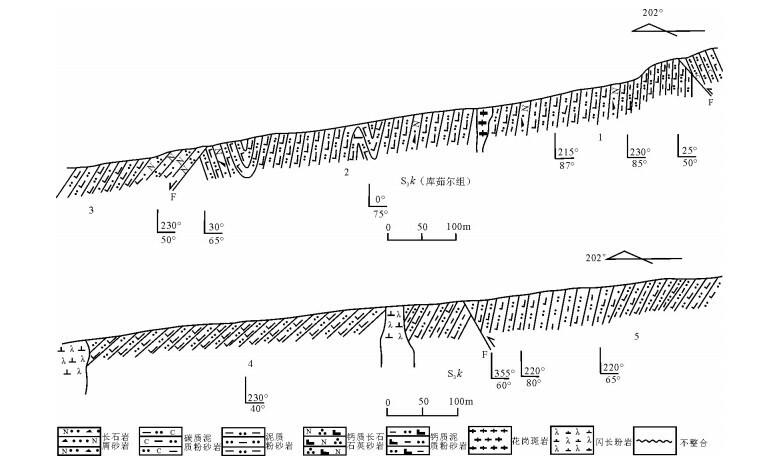 Structural analysis and 40Ar/39Ar thermochronology of Proterozoic rocks in Sailimu area (NW China): Implication to polyphase tectonics of the North Chinese Tianshan[C]//Wave interactions in solid state plasmas. McGrawHill, 2011: 821-832. 丁海峰, 马东升, 姚春彦, 等. 伊犁果子沟地区新元古代冰成沉积的碎屑锆石LA-ICP-MS U-Pb年龄及其地质意义[J]. 地质论评, 2014, 60(3): 666-676.